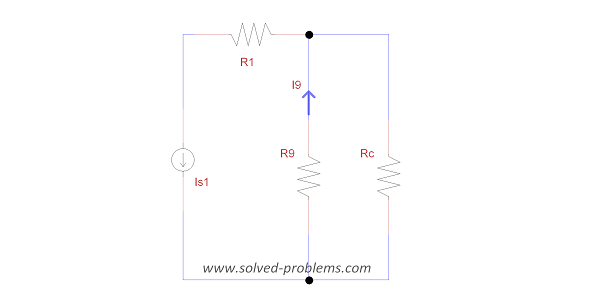 Find (Hint: use circuit reduction). In this case (r2+r3)//(r4+r5).. so why cant we apllly the current divider rule to this.??? Those two branches are not in parallel. They would be parallel if R9 was a short circuit. 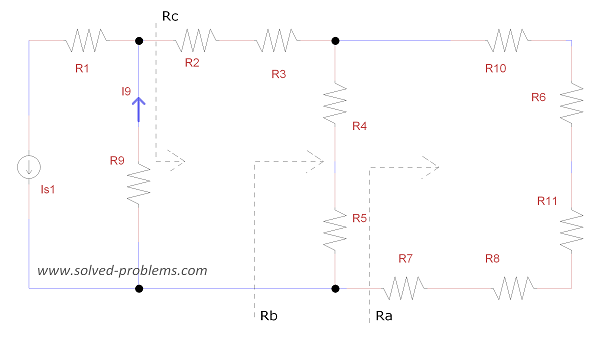 So, if you replace R9 with a short circuit, Rnew=(R2+R3)||(R4+R5) with one node connected to the left node of R10 and the another one connected to the left of R7.